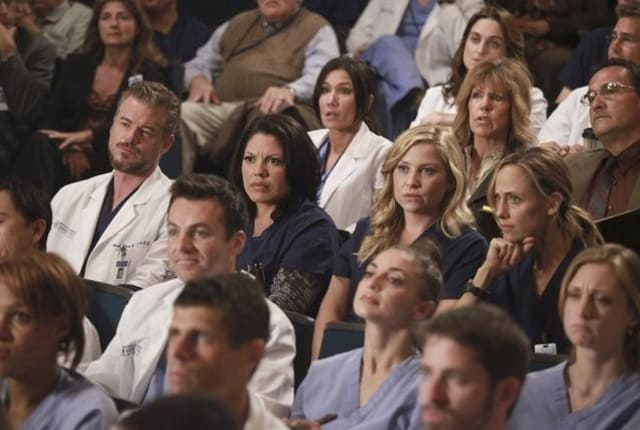 Watch Grey's Anatomy Season 8 Episode 5 online via TV Fanatic with over 7 options to watch the Grey's Anatomy S8E5 full episode. Affiliates with free and paid streaming include Amazon, iTunes, Vudu, Netflix, YouTube Purchase, Google Play, and Verizon On Demand. The residents try their hardest to impress surgical great Catherine Avery - who also happens to be Jackson's mother - when she arrives at Seattle Grace to perform a groundbreaking transplant surgery.